To magnify the original character, tap the original character at the upper side of the screen. You can change the magnified character's font, depending on your purpose. In addition, "Pro" version can save the image and share the character with other apps. ※ The following image is a screenshot of Pro version. The font is Round gothic. To select the available font from the list. ※ The available fonts depend on a character set. 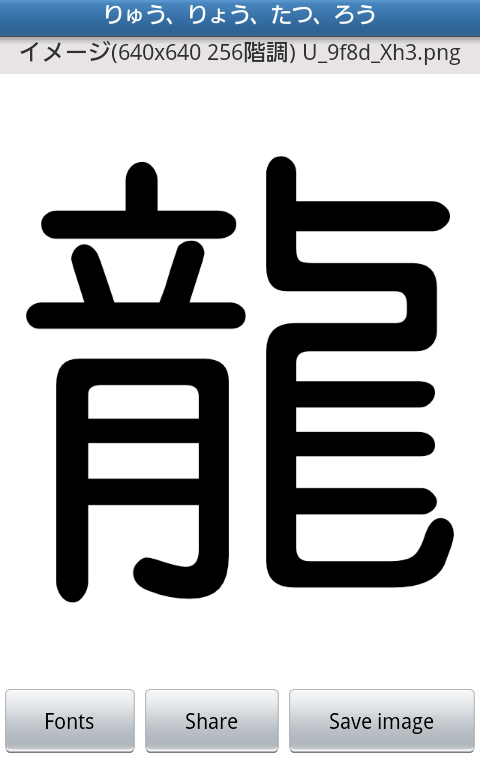 Mincho, Gothic, Textbook and Round gothic are applied to kanji in JIS level 1 and 2. GT, T-Mincho, T-Gothic and T-Kaisho are applied to JIS kanji and GT font. 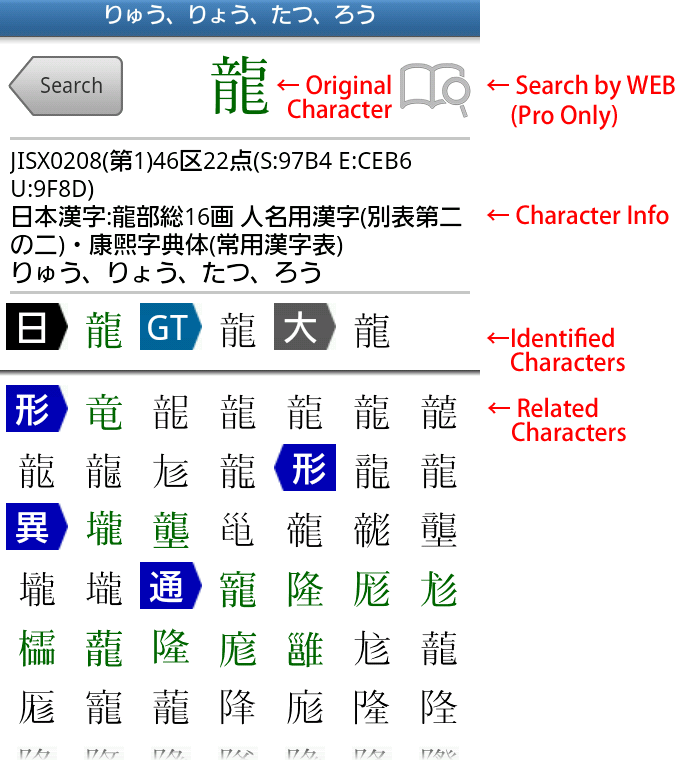 To learn more about the type of character set, please refer to Searchable Character Type. To share the magnified character with other apps as an image. To save the magnified character as an image.